In a recent project we have been tasked to import some files from Pro/ENGINEER into SolidWorks. To complicate things a bit, some of the Pro/E files are still undergoing some “minor” changes. How do you deal with situations like this? Well, I’m happy to say that you CAN effectively UPDATE imported models and if the changes are minor and you use a consistent process in how you import your data, the assembly mates and sketch relations you have built to the imported part will remain unharmed. The video below shows it all. You will see me show an Assembly in SolidWorks that has a imported model in it from Pro/E. I’ll then update the model in Pro/E and show how you can update your imported geometry in SolidWorks! This is actually an old school trick that I first saw MANY years ago in a Rhino tutorial that talked about how to update Rhino surface data in SolidWorks. So sit back and enjoy. My microphone is still broken…so I had to use callouts in this one. Hopefully the next video post will include voice again. UPDATED 3-22-09: You can now download this video for local viewing HERE! You will need install the TSCC Codec to view the file. This feature is new to the site and currently in testing. Please drop a comment and let me know how it worked for you! Interesting! I could have used this little trick to update Pro/E files in the past… Definitely will have to remember this! wow that's a good thing which must help me as well as the people to be updated with Pro/E files.it is sure everybody can use it easily and will be benefited by. Very interesting and informative post.. What can I say? You are always done a great job..
Well, I’m happy to say that you CAN effectively UPDATE imported models and if the changes are minor and you use a consistent process in how you import your data, the assembly mates and sketch relations you have built to the imported part will remain unharmed. I work on a wide variety of projects and interface with a wide variety of CAD systems. I am a CAD Junkie, so yes, I do dabble with other CAD systems from time to time. That's interesting! I've always had problem when trying to import ProE or CATIA files into Solidworks. will try to run the update trick and lemme see if it works out. Oh! I have this great stuff to share with you….. I just love this blog , and all you share here . Good work going bro , amazing ! 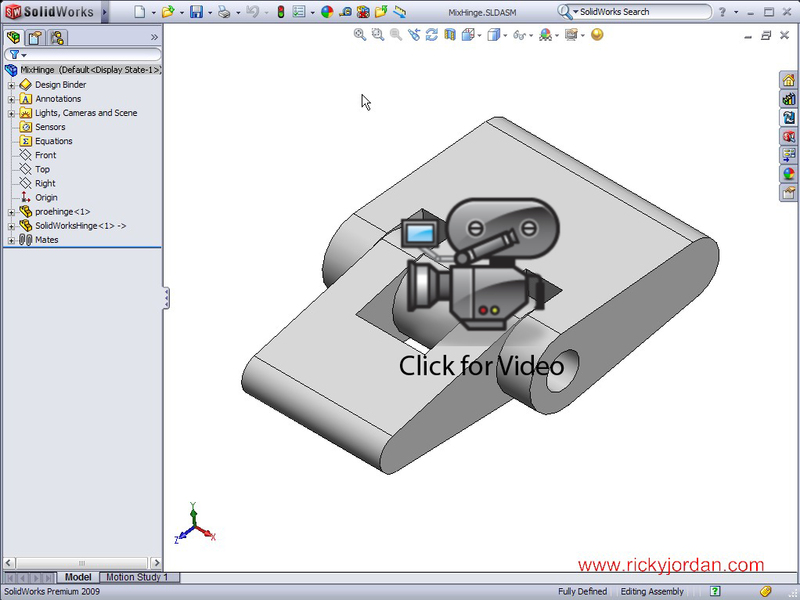 You will see me show an Assembly in SolidWorks that has a imported model in it from Pro/E. I’ll then update the model in Pro/E and show how you can update your imported geometry in SolidWorks! i agree with what you say…. Really very interesting tips and CAD is new for me but I know mainly it is used in Engineering field. really its nice i m happy to listen this because i m always facing problem. Now i can do my work easily. Very interesting topic, I loved reading. Thanks for tutorial. I’ll then update the model in Pro/E and show how you can update your imported geometry in SolidWorks! This is actually an old school trick that I first saw MANY years ago in a Rhino tutorial that talked about how to update Rhino surface data in SolidWorks. It is the best article, Thank you for sharing this article..